MIDDLE WALLOP | The newly-reformed Attack Helicopter Display Team will perform at just four airshows this year. 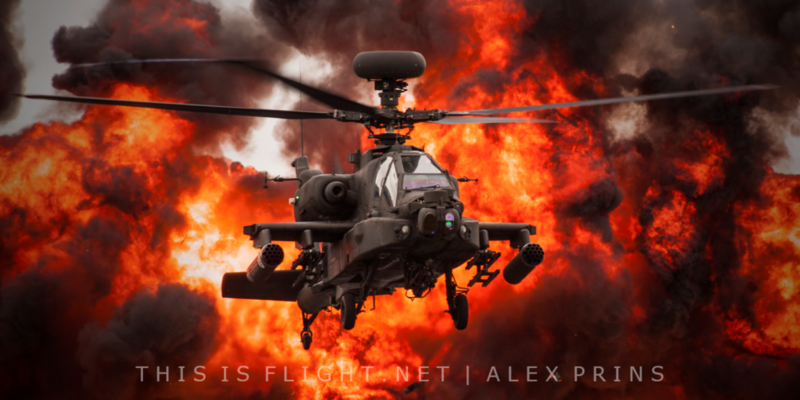 The Army Air Corps team, who fly the Apache AH.1, will perform at all three of the country’s major international airshows, as well as an appearance at Duxford. The team have traditionally had a light schedule, but this is still considerably less than usual. The ADHT have been the AAC’s only airshow team in the last few seasons, and have typically performed at just a small handful of events each year due to the ACC’s considerable operational commitments. For that reason, the team were unable to display at all in 2018. The display comprises a role demonstration, often synchronised to ground pyrotechnics. For the 2015 season, they performed with a pair of Apaches, but since reduced back to a solo display. The same will be true for the 2019 season. AHDT are the second UK military helicopter team to make a comeback this year: in January it was announced that the Royal Navy Black Cats will also be returning, having not displayed since 2016.